Posted on December 6, 2018 IM Expands Global Gifts: More Gift Choices than Ever Before! What do clean water, coffee, camps for kids and chickens have in common? They all can bring hope to people in need all over the world when you purchase them as Christmas gifts through the International Ministries (IM) 2018 Global Gifts program. This year, we are expanding the Global Gifts opportunities from 10 in 2017 to 125 global mission projects that are in need of your support right now. It’s easy to find the perfect gift! Click here to browse through all current projects, starting with the most recent. Click on “Find a Project” to search by project type, Ministry Priority or location. Tip: Use the new sharing links, located just above the project description, to create a post on Twitter or Facebook, send an email link or print the page to PDF or to a printer. IM’s global mission projects are hand-selected and managed by our global servants, international partners and area directors. So you can be sure that that your gifts are greatly needed, much appreciated and treated respectfully with faithful stewardship. Your Sunday school teacher – Help fund summer Bible school camps in the Democratic Republic of the Congo to teach children about the gospel and the love of Christ. Your pastor – Support evangelistic outreach in Northeast India and in bordering Bangladesh and Bhutan by establishing establish house churches, providing Bibles to new believers and training volunteer leaders. Your gardener – Purchase coffee trees for families in northern Thailand to sustainably grow local economies and lift communities out of poverty. Your health professional – Purchase life-saving HIV and diabetes test kits in South Africa for community health care workers. Or help prevent pregnant women in Nicaragua from contracting the Zika virus, which can cause severe brain damage in their children. For the person who has everything – Whatever your loved one’s interests, you can find the perfect Global Gift to bless people around the world in his or her honor. For an IM global servant – Most IM global servants spend the holidays far from their families, and they are so touched to be remembered at Christmas. A kind word or a gift of support really brightens their day. 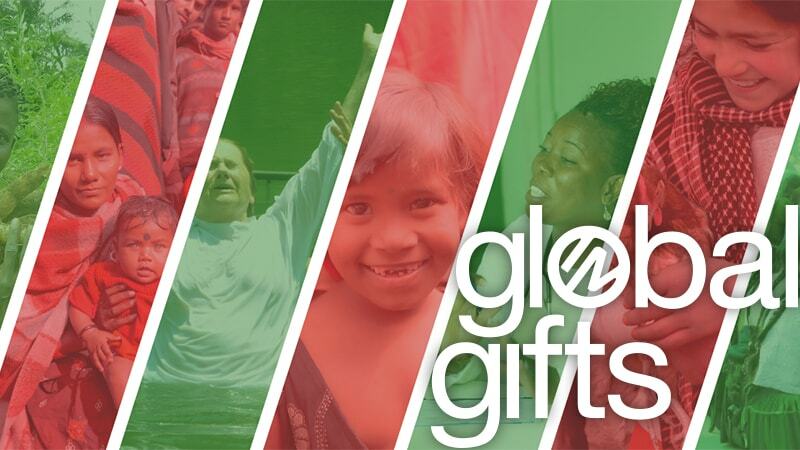 Select a global servant here to send a gift or to email an encouraging message. Thank you for sending the precious gift of God’s love to people in need. May your Advent, Christmas and New Year’s be filled with God’s blessings.